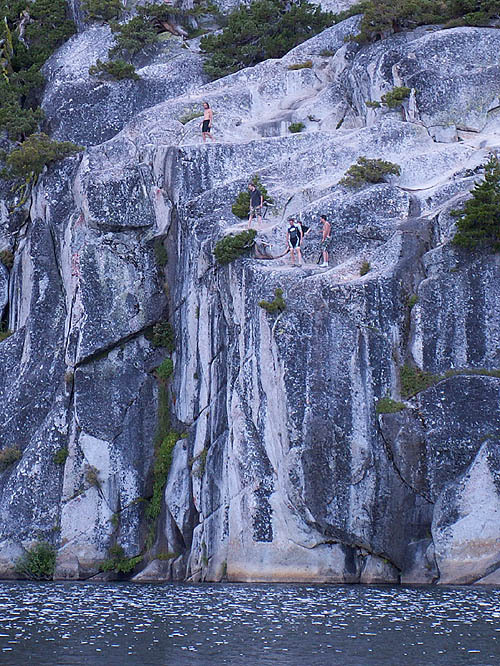 Excellent cliff jumping. Great cabins for vacations. Stunningly beautiful alpine lake. Very difficult to reserve cabins. Cabins unavailable during winter. Can be crowded. Fresh squoze lemonade at the resort. 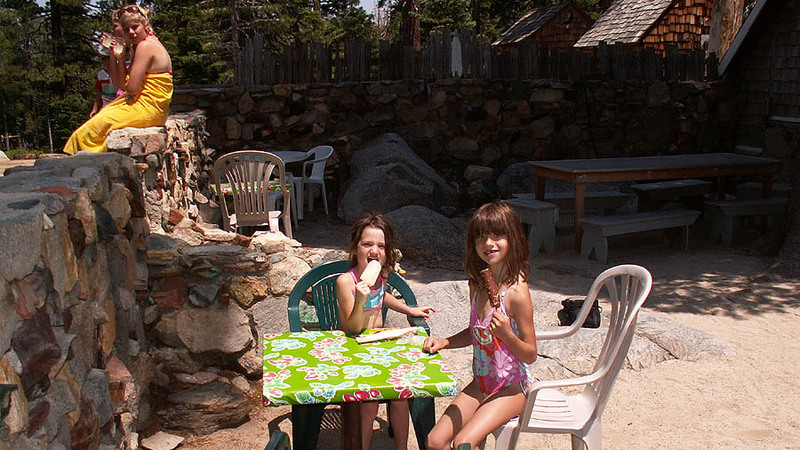 Tucked neatly into a glacially carved bowl high above Lake Tahoe you'll find the resort at upper Angora Lake. There is a short (approx. 1 mile) uphill hike to reach this gem, but it is well worth it. There is a large sandy beach with plenty of shallow water for the kids. 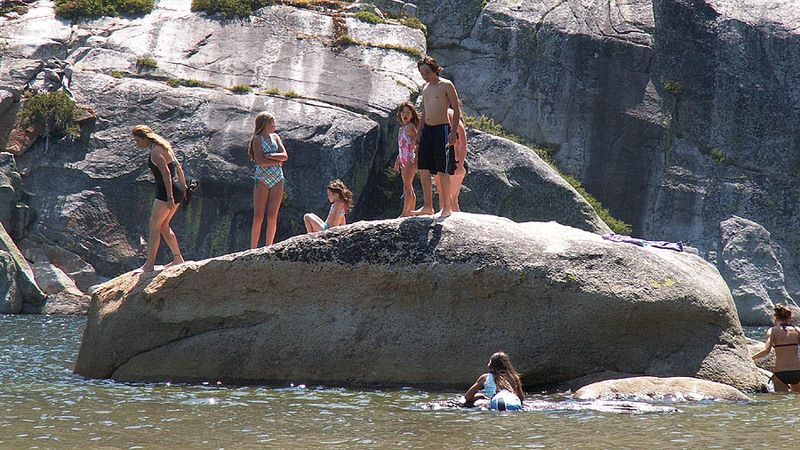 The older kids can find rocks to jump off and even cliffs for those that are able. 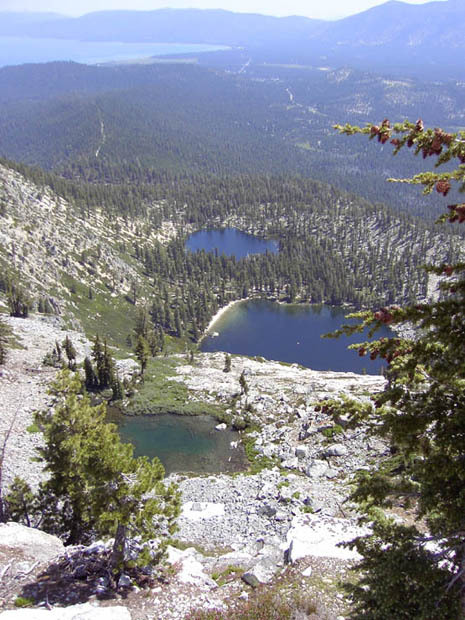 You will also find the quickest trail to Echo Peak here. 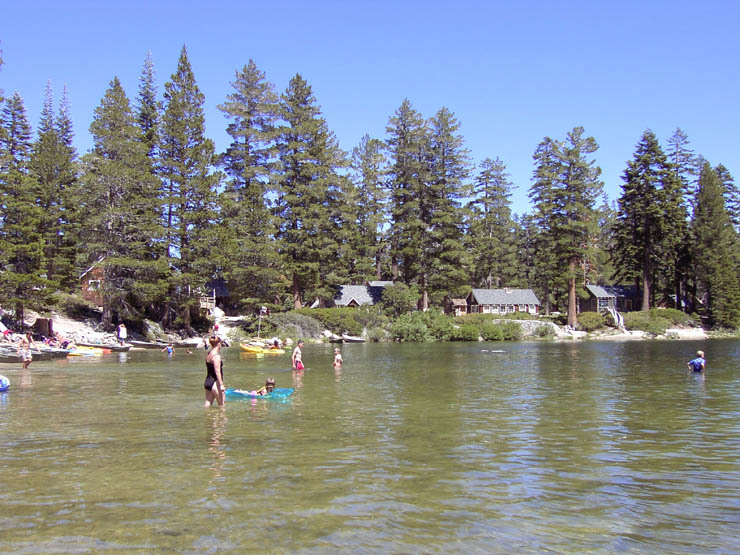 The resort is privately operated on forest service property. During the summer months they have cabins (extremely limited availability), as well as rental boats, sailboats, ice cream, and delicious fresh squeezed lemonade. This is a great place to take the family for a day at the beach. It can be crowded and is not a great place to get away from people. 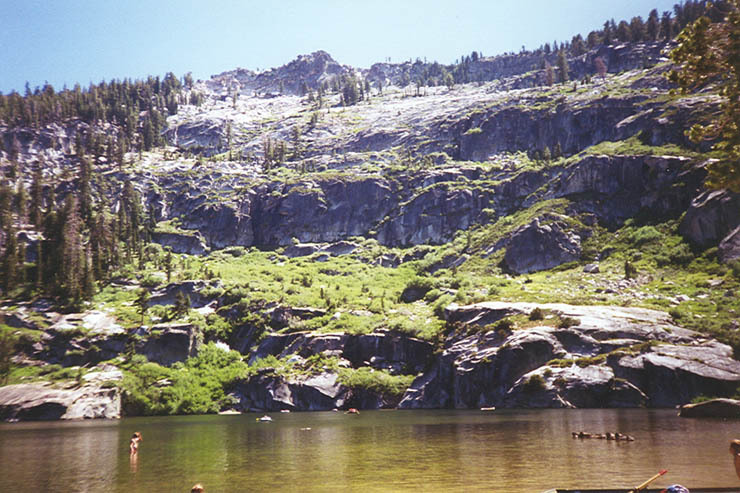 Because of the alpine nature of this lake, it can be much windier and cooler than at South Lake Tahoe. 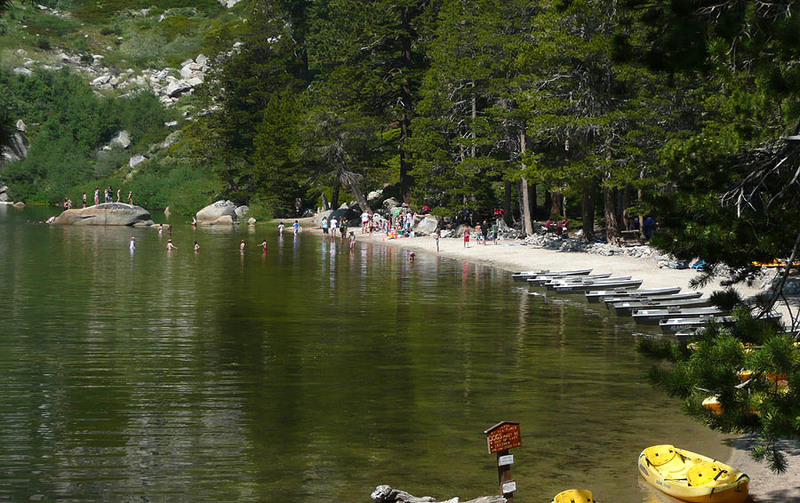 There is more to Angora Lakes than just the resort, however. There is a lower lake that is quite as beautiful, though not as user friendly. 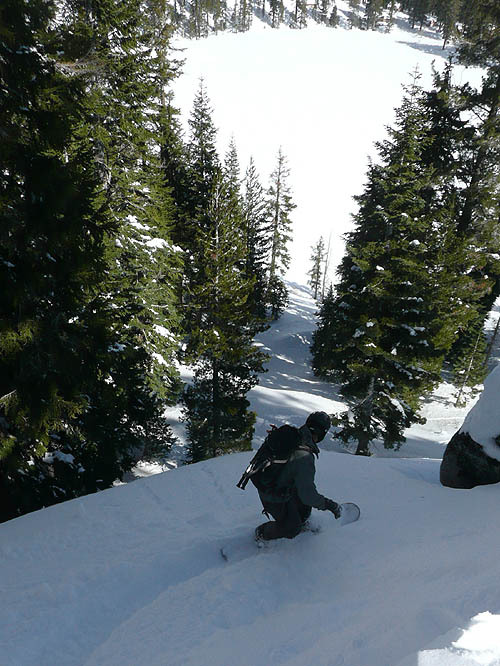 There is some of Tahoe's best backcountry skiing in the winter and spring. There is beautiful wildflower hikes up to Echo Peak, Angora Peak, and Indian Rock. 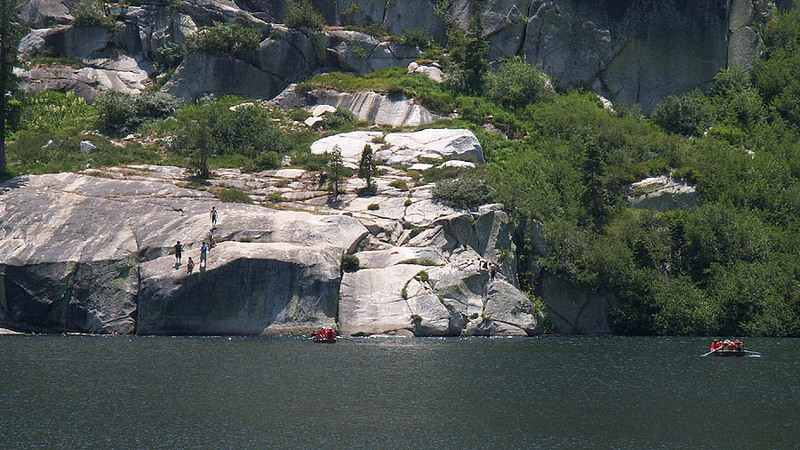 While difficult to access, Indian Rock has holds the Tahoe Basin's largest wall for rock climbing. Click here for topo map. Directions - Take Lake Tahoe Blvd. through the 'Y' (do not follow hwy 50 or Hwy 89) and follow to Tahoe Mountain Road (about two miles). Turn right and follow the road until you must turn. From here, the signs pointing you are plentiful until you get to the last left turn. While the road is called Angora Ridge Road, here the sign just says 1214. There is a fee for parking. 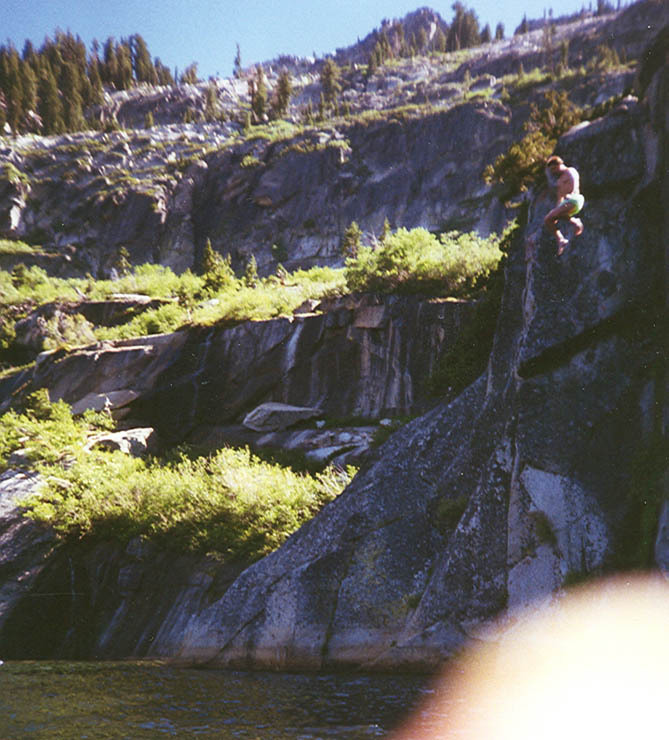 Disclaimer- Jumping into Alpine Lakes has inherent dangers regardless of water depth. 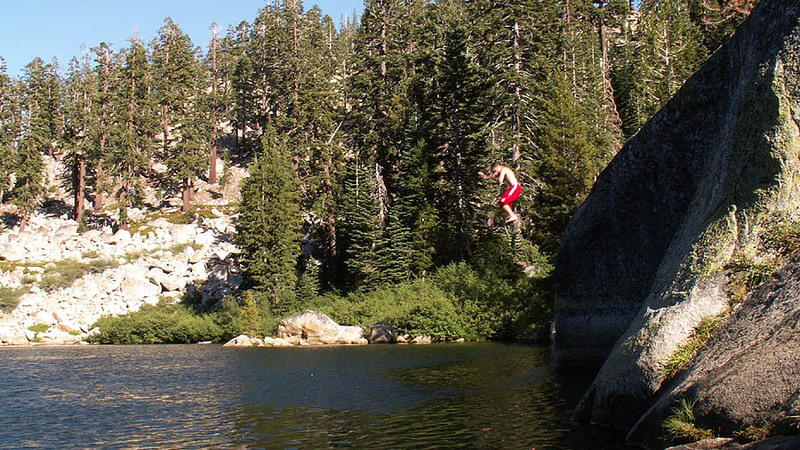 People break bones every year jumping into Angora Lakes without ever hitting anything but water. Additionally, water depths can fluctuate greatly during periods of limited precipitation.